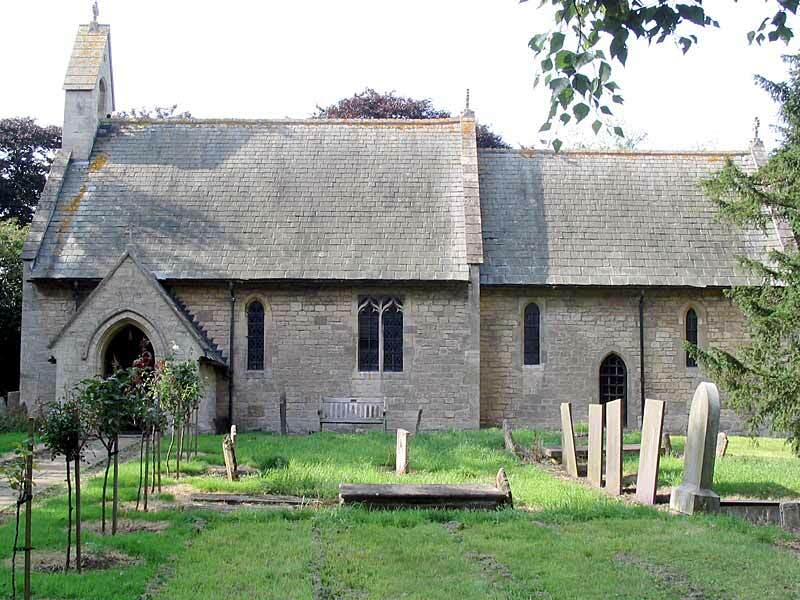 The first building one sees on entering the village of Halloughton is the church of St. James nestling in a pretty, flower-strewn churchyard that seems to be inordinately large for its purpose. The parish itself with its farms and properties (save for a small amount of freehold) was owned by the Church Commissioners until 1952 when it was sold to the sitting tenants. Opposite the church is the Grade II* manor house which was originally built for the use of the visiting Prebendary. A medieval tower house is incorporated into the farm house. 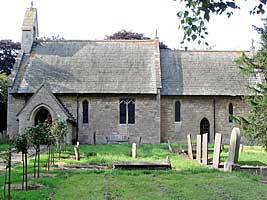 Halloughton was one of sixteen prebends attached to the collegiate church of the Blessed Virgin Mary in Southwell. Little remains of the original medieval fabric except the east end with its two lancet windows. The low simple screen is fifteenth century. A late-eighteenth century ink drawing by the Swiss émigré Samuel Heironymous Grimm depicts a small stone church without a belltower. After 1791, when the inkwash drawing was made, but by 1825, a tall cupola had been added in the position now occupied by the present bellcote. This is shown in an oil painting dated 1825. Halloughton church gradually fell into disrepair. This was not rectified until the Ecclesiastical Commissioners instructed Ewan Christian, the well-known Victorian church restorer, to oversee a restoration between 1879 and 1882. The only subsequent alterations have been the addition of two stained glass windows in the west end, the result of a legacy by the Gash family whose connections with the village spanned one hundred and sixty-four years. Access through the small door on the south wall towards the east end has been blocked because the organ is situated on the inside.